Item # 310530 Stash Points: 4,795 (?) This is the number of points you get in The Zumiez Stash for purchasing this item. Stash points are redeemable for exclusive rewards only available to Zumiez Stash members. To redeem your points check out the rewards catalog on thestash.zumiez.com. 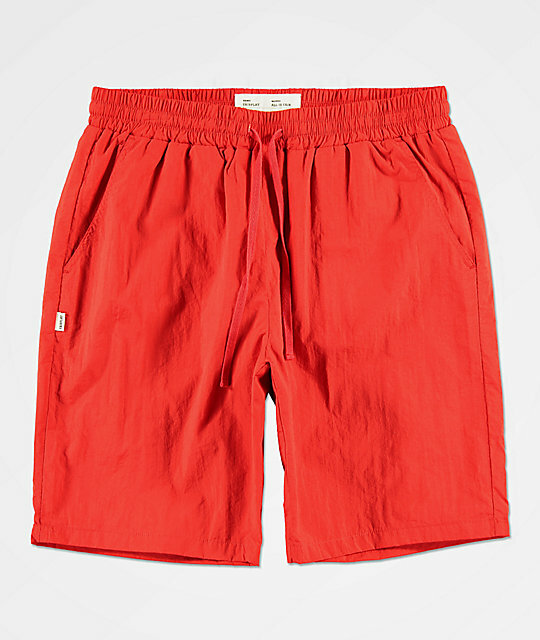 Get your outfits locked in for Summer sun fun with Fairplay's Cardi Red Nylon Shorts. 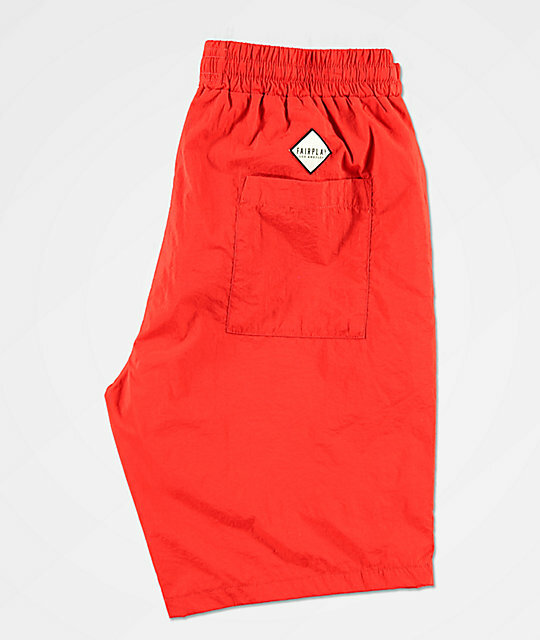 These lightweight bottoms offer a convenient four pocket design and limited branding, helping keep these shorts simple and versatile. 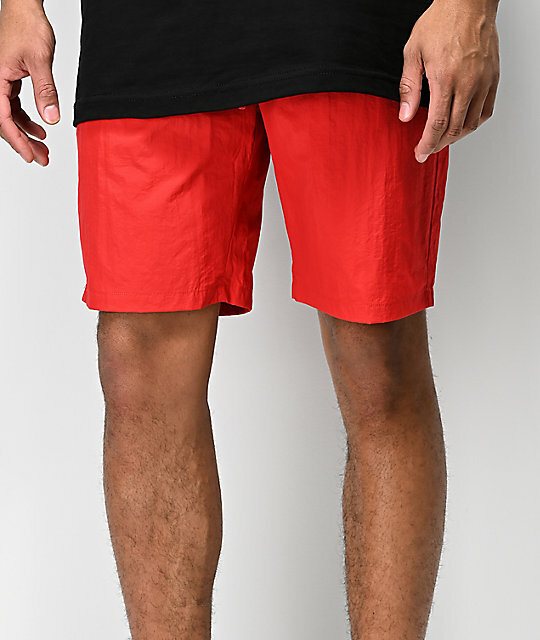 Pariing well with nearly any tee, the Cardi Shorts are a must have for the warmer months. 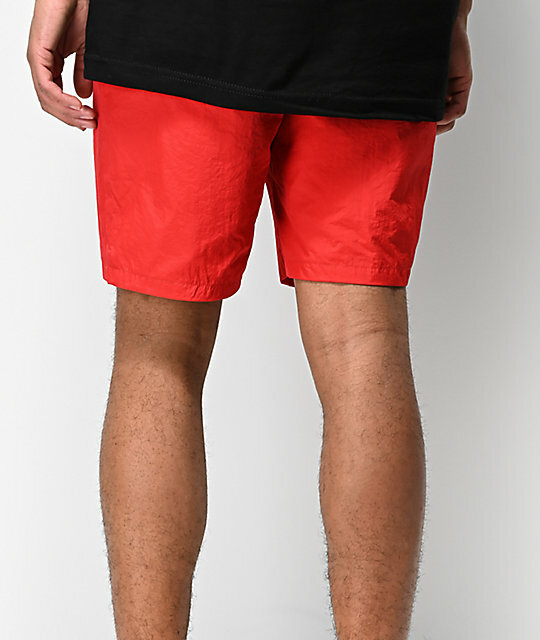 Cardi Red Nylon Shorts from Fairplay. Two back seat pockets with brand patch above back right pocket. Brand tag on right side seam.